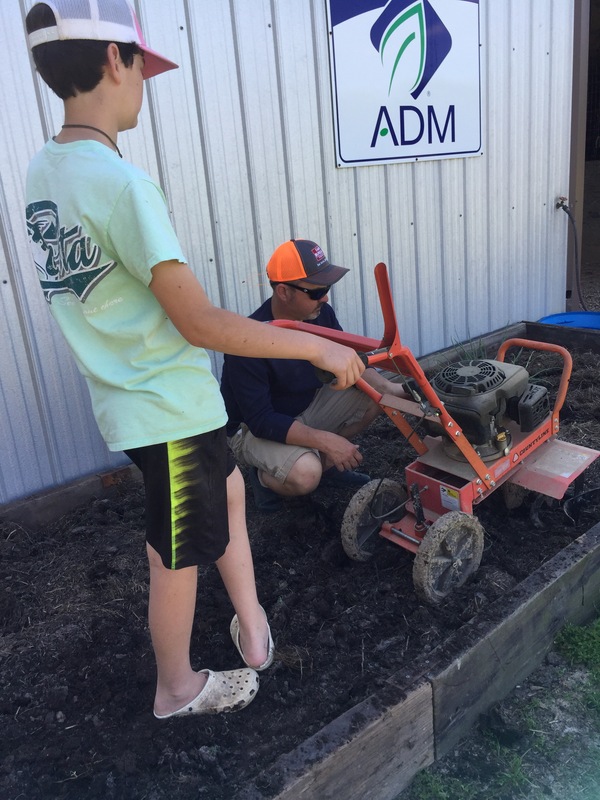 A few weeks ago, we remade my raised bed in front of the barn. 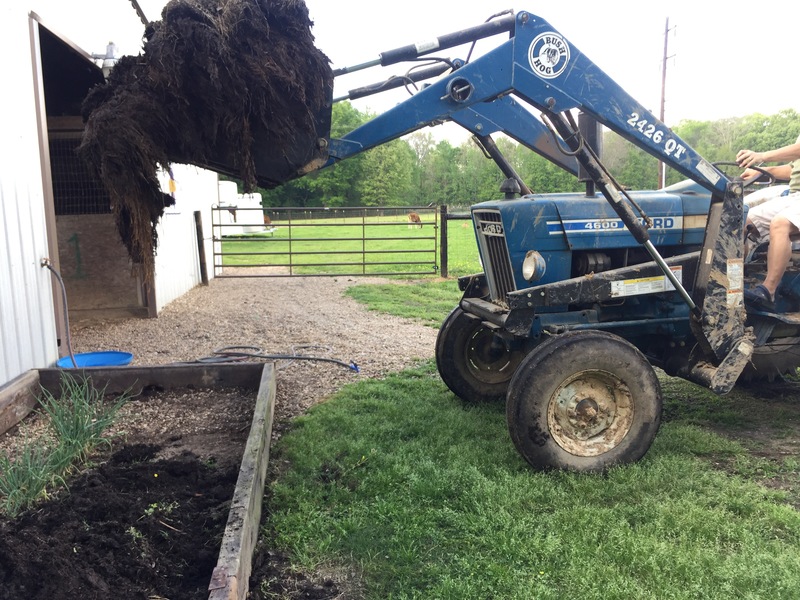 It needed a good bit of soil, so I asked my husband to get it from the hay area in the cow pasture. 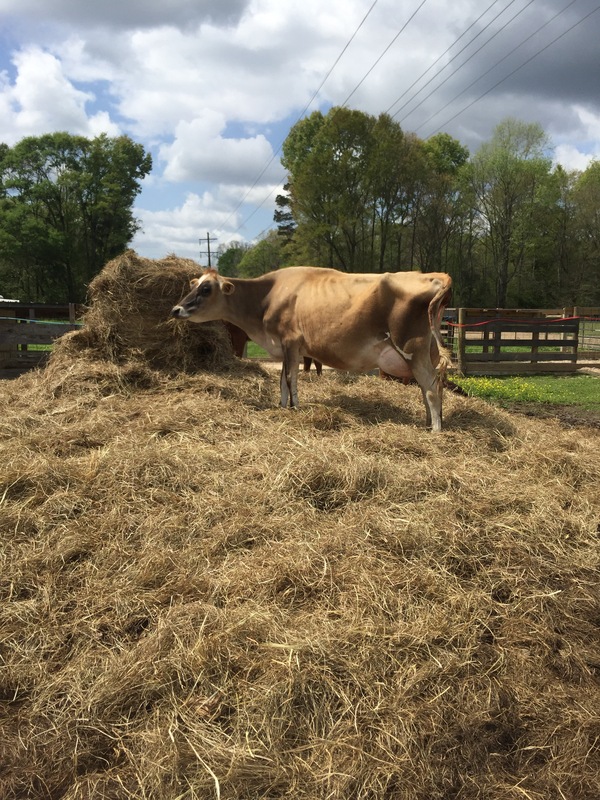 This giant hill is made up of decaying hay and cow manure. It is beautiful black compost. He brought over a few buckets with the tractor. There are a few green onions left from the winter. I will leave those, let them flower, then dig up the bulbs to plant for this fall. You can see grass in here. 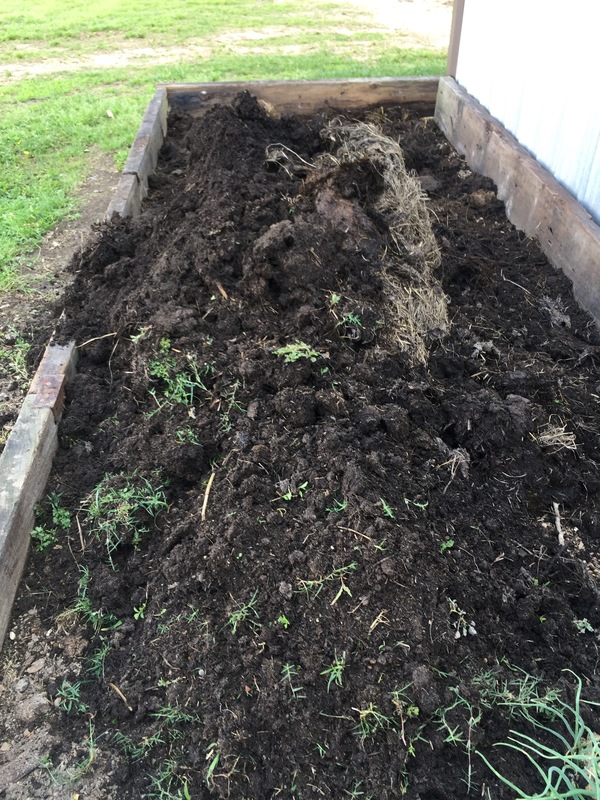 I will be battling weeds, but this rich, organic soil is worth that. Once the soil is ready, time to stage the plants. I put cattle panels (leftovers from another project) against the wall for the vines. 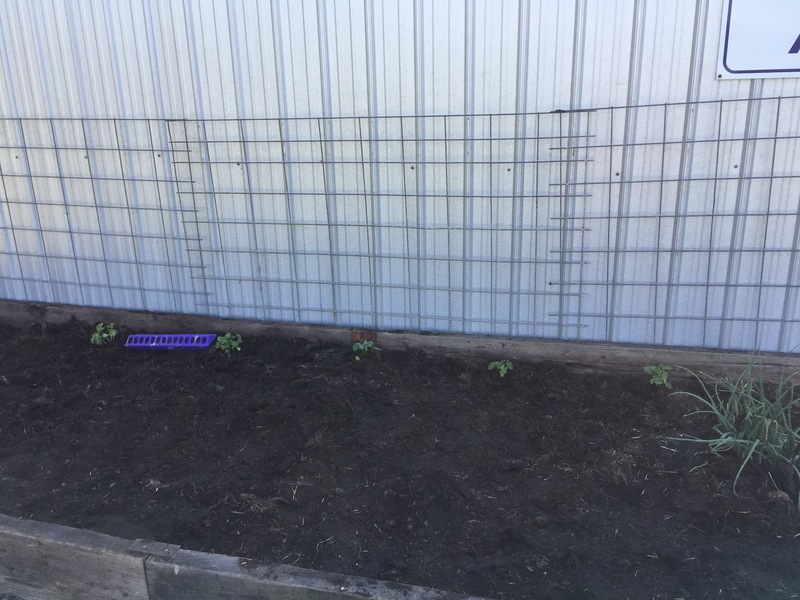 Cucumbers in the middle, cantaloupe on either side. I’m using the chicken feeder as a spacer, about 20″ apart. Now I will put the tomatoes and peppers in the rest of the bed. 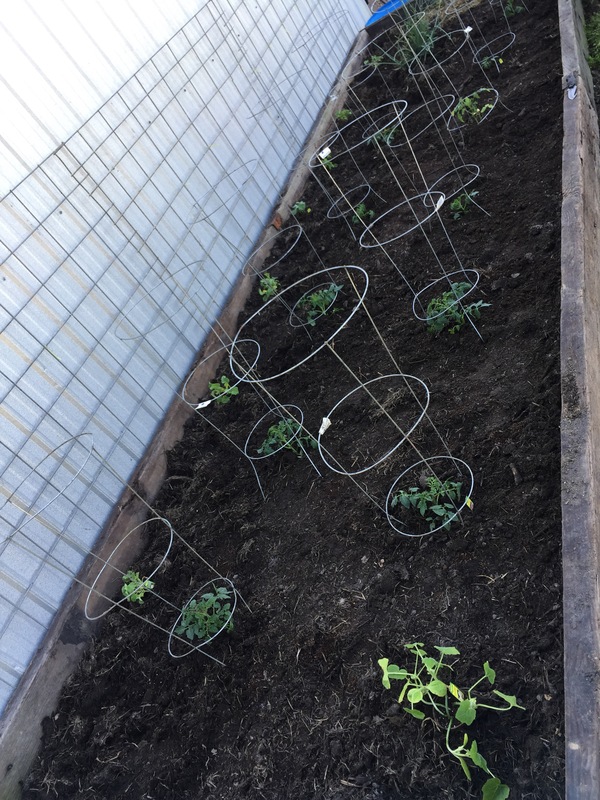 Each tomato will get a cage to help support the heavy tomatoes. 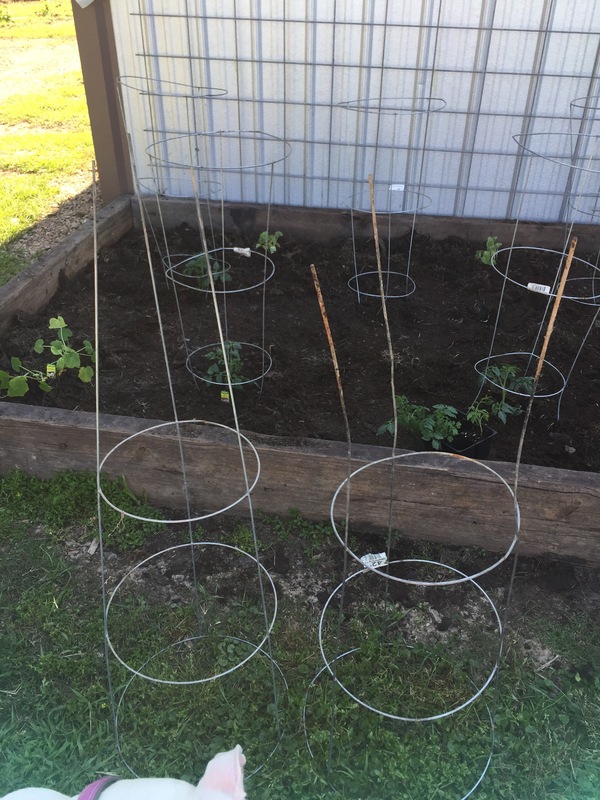 I used to struggle with tomato cages not holding up. Now I have discovered that if I widen the ends that go into the ground, making a wide base, then the support is much stronger. The cage on the left is the way it comes, the cage on the right is after I’ve widened the ends. 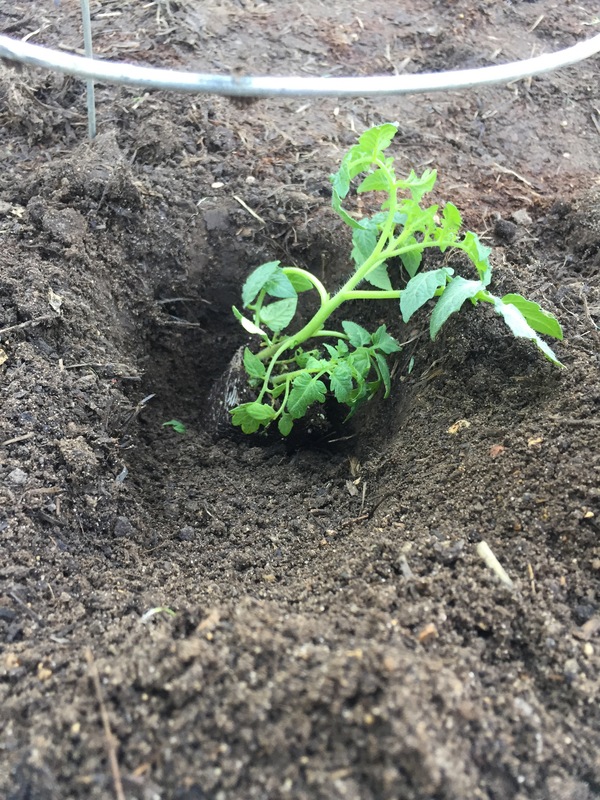 Tomatoes are one plant that needs to be planted DEEP. 1/3 of the entire plant can go underground. I planted all tomatoes here. Plus one squash in the corner. The peppers will have to go in the big garden with the okra and beans. Now off to the big garden!